Lately, I've heard from several parents that they are struggling with how to help their child deal with anxiety. This anxiety is often triggered by pretty common occurrences. Examples of these triggers include things like going back to school after missing a few days due to illness, getting braces, or having to perform in a school recital. While all children benefit from routine in their day to day lives, children with autism thrive on it! As a parent of a child with autism it is very important to look at establishing daily routines in your child's life. Routines will provide predictability and relieve much anxiety and uncertainty about what is happening around them. A routine will allow your child to have greater control over their environment. Provide your child with schedules and timers so that they can see clearly what is happening and when. An egg timer works well as a visual cue for children with autism - or alternatively, put markings on the wall clock to show the times for different parts of the daily routine. Alarm clocks and oven timers can also be used as part of a routine to remind a child that it is time to change tasks, get ready for bed, or leave for school. Establish daily routines as early as possible and stick to them as best you can. Having said that, change is inevitable in life, and with change comes disruptions to routines which can be a potential nightmare for a child with autism. There are many strategies that can be used to help a child with autism work through day to day change. Picture cards are fabulous and are a strategy that we use regularly in our home. The picture cards show images and photos of the many things that we do during the day, places we visit, and tasks that need to be completed. At the beginning of a day, we select the cards that represent what will be happening for that day. We stick the cards up on a velcro strip, and as we move through the day we remove each card and 'post' it in a 'completed' box as we finish with a task or scenario. 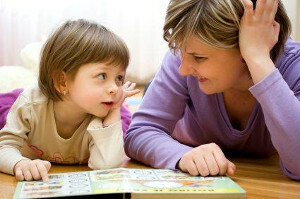 The benefit of the cards is that the child is able to see the full day's 'story' and can predict what will happen next. We also use picture cards for getting ready for kindergarten, getting ready for dinner, or getting ready for bed - the cards outline the tasks that need to be completed, one after the other. Again, the best made plans can go out the window when an unexpected visitor knocks on the door, or we run out of milk and need to make a quick trip to the store. We have a '?' or 'what if' card that we use for these times. It is a card that can be thrown into the mix at any time, and the child understands that this card can means change. To begin with the '?' card is unpredictable, and a lot of time and patience is required with its use. However, the '?' card used consistently when a change arises will eventually give the child a sense of predictability. The child begins to associate it with change and begins to realize what sort of things to expect from this and is better able to cope. Remember that children with Autism love routine. When changes to your child's routine need to occur, make sure you allow them plenty of time to adjust to the change, use visual cues when you can, and provide plenty of support to help them through it. The result will be a more relaxed child and a less stressed parent!